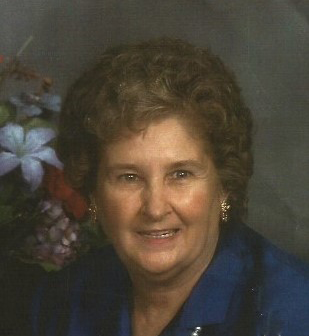 Wisinger, Sylvia Kay, born September 28, 1942 to the late Maurine Liliah Starnes and John W. Pettigrew in Dalhart, Hartley County, Texas, entered heaven’s gates on Thursday, January 31, 2019, in Kyle, Texas at the age of 76. She graduated with a B.A.E., Bachelor of Arts in Education, from West Texas University, Canyon Texas, now known as West Texas A&M. While furthering her education, Sylvia joined the Chi Omega sorority. Upon Graduation, Sylvia worked for several years as an elementary school teacher. On June 1, 1968, Sylvia Kay married Glenn Edward McGaugh and remained together until his passing on June 29, 1981. She later remarried on April 5th, 1986, Jewel Wisinger. They remained together until his passing on September 24, 2001. Due to her mental health issues, Sylvia Kay could not live by herself. Her sister, Judy and brother-in-law Bill Baggett, moved her to Buda for care and support for the next 17 1/2 years. Sylvia was an avid reader of her bible. She loved cooking ceramics and country music. She had a particular affinity for the Music of George Strait. Sylvia was preceded in death by her husbands Glenn and Jewel and her son John Glenn McGaugh. She is survived by her stepdaughter, Sandra McGaugh Noack and her husband, Tim Noack and three great-grandchildren of Flower Mound TX, her grandchildren Zack and Alex Launius of Sanger Texas and Heather Launius of Lakewood, Colorado as well as by her siblings; Kit DEE Pettigrew and his wife Ann of Portales, NM, Jonine Joy Weeks and her husband Don of Big Spring, TX and Judy Baggett and her husband, Bill of Marble Falls, TX. She will also be missed by her sister’s-in-law: Peggy Wisinger Carter of San Angelo, TX and Betty Ramsey and her husband George of Belton, TX. Friends and family are invited to Johnson’s Lawn Haven Memorial Gardens, 4989 FM 1223, San Angelo, TX, for inurnment services on Saturday, February 16, 2019 at 1:30 PM. In lieu of flowers, please consider donating to NAMI, the National Alliance on Mental Illness, www.nami.org. Please visit www.Harrellfuneralhomes.com to share a fond memory, photograph, or condolence with Sylvia Kay’s family on her On-line memorial site.